Staff Selection Commission conducts theCombined Graduate Level examination CGL for recruitment of various posts in central government departments. 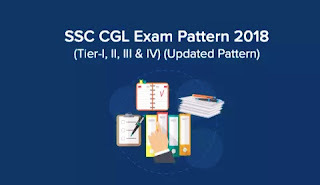 So for qualifying in this exam it is very important to understand the latest SSC CGL Exam Pattern 2018. Therecruitment notification contains various information regarding eligibility criteria. 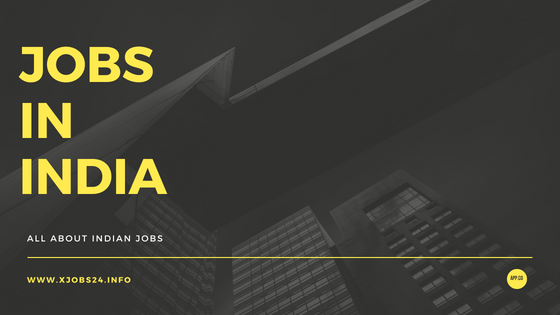 Further we will publish pages related to SSC CGL job profile and salary structure. This page contains the detailed SSC CGL Exam Syllabus. The SSC CGL Exam is conducted for various Group-B and Group-C posts. Are you aware of the latest Exam Pattern? The SSC CGL Examination is conducted in three tiers. The tier-I exam comprises of online objective test consisting four sections. The tier-II consists of a descriptive type test. Finally the tier-III exam or the skill test is administered on the tier-II successful candidates. The tier-I exam contains questions from general intelligence, general awareness, quantitative aptitude and English language. The exam pattern of Tier-I exam for all the posts is same. The paper will be in online mode and of objective multiple-choice type. Note: In Tier-I, there will be negative marking of 0.50 for each wrong answer. Only those candidates advance to the next stage who clear the cutoff for the tier-I examination. The second stage of the SSC CGL exam is Tier-II exam. There are four papers namely Paper-I, II, III & IV. The subjects covered in these papers are quantitative abilities, English language and comprehension, statistics and general studies (finance and economics). The paper is expected to be an objective online test. For different posts the tier-II exam will carry 400 marks or 600 marks as applicable. The detailed exam pattern for Tier-II is give in the table below. Note-I: In Tier-I, there will be negative marking of 0.50 for each wrong answer. Note-II: In Tier-II, there will be negative marking of 0.25 for each wrong answer in Paper-II (English Language and Comprehension) and of 0.50 marks for each wrong answer in Paper-I, Paper-III and Paper-IV. Note-III: In Tier-II, Paper-I and Paper-II are compulsory for all the posts. Note-IV: In Tier-II, Paper-III will be for only those candidates who apply for the post of Junior Statistical Officer (JSO) and who are shortlisted in Tier-I for this Post/Paper. Note-V: In Tier-II, Paper-IV will be for only those candidates who are shortlisted in Tier-I for Paper-IV i.e. for the posts of Assistant Audit Officer/ Assistant Accounts Officer. The detailed SSC CGL Exam Syllabus for tier-I has been given below after dividing into appropriate sections. (A): General Intelligence & Reasoning: It would include questions of both verbal and non-verbal type. This component may include questions on analogies, similarities and differences, space visualization, spatial orientation, problem solving, analysis, judgment, decision making, visual memory, discrimination, observation, relationship concepts, arithmetical reasoning and figural classification, arithmetic number series, non-verbal series, coding and decoding, statement conclusion, syllogistic reasoning etc. The topics are, Semantic Analogy, Symbolic/ Number Analogy, Figural Analogy, Semantic Classification, Symbolic/ Number Classification, Figural Classification, Semantic Series, Number Series, Figural Series, Problem Solving, Word Building, Coding & decoding, Numerical Operations, symbolic Operations, Trends, Space Orientation, Space Visualization, Venn Diagrams, Drawing inferences, Punched hole/ pattern- folding & un-folding, Figural Pattern- folding and completion, Indexing, Address matching, Date & city mtching, Classification of centre codes/ roll numbers, Small & Capital letters/ numbers coding, decoding and classification, Embedded Figures, Critical thinking, Emotional Intelligence, Social Intelligence, Other sub-topics, if any. (B): General Awareness: Questions in this component will be aimed at testing the candidates’ general awareness of the environment around him and its application to society. Questions will also be designed to test knowledge of current events and of such matters of every day observations and experience in their scientific aspect as may be expected of any educated person. The test will also include questions relating to India and its neighbouring countries especially pertaining History, Culture, Geography, Economic Scene, General Policy & Scientific Research. (D): English Comprehension: Candidates’ ability to understand correct English, his/ her basic comprehension and writing ability, etc. would be tested. The questions in Parts A, B, & D will be of a level commensurate with the essential qualification viz. Graduation and questions in Part-C will be of 10th standard level. Paper-II (English Language and Comprehension): Questions in this component will be designed to test the candidate’s understanding and knowledge of English Language and will be based on spot the error, fill in the blanks, synonyms, antonyms, spelling/ detecting misspelled words, idioms & phrases, one word substitution, improvement of sentences, active/ passive voice of verbs, conversion into direct/ indirect narration, shuffling of sentence parts, shuffling of sentences in a passage, cloze passage & comprehension passage. Collection, Classification and Presentation of Statistical Data – Primary and Secondary data, Methods of data collection; Tabulation of data; Graphs and charts; Frequency distributions; Diagrammatic presentation of frequency distributions. Measures of Central Tendency- Common measures of central tendency – mean median and mode; Partition values- quartiles, deciles, percentiles. Measures of Dispersion- Common measures dispersion – range, quartile deviations, mean deviation and standard deviation; Measures of relative dispersion. Moments, Skewness and Kurtosis –Different types of moments and their relationship; meaning of skewness and kurtosis; different measures of skewness and kurtosis. Random Variable and Probability Distributions – Random variable; Probability functions; Expectation and Variance of a random variable; Higher moments of a random variable; Binomial, Poisson, Normal and Exponential distributions; Joint distribution of two random variable (discrete). Sampling Theory – Concept of population and sample; Parameter and statistic, Sampling and non-sampling errors; Probability and non-probability sampling techniques (simple random sampling, stratified sampling, multistage sampling, multiphase sampling, cluster sampling, systematic sampling, purposive sampling, convenience sampling and quota sampling); Sampling distribution (statement only); Sample size decisions. Statistical Inference – Point estimation and interval estimation, Properties of a good estimator, Methods of estimation (Moments method, Maximum likelihood method, Least squares method), Testing of hypothesis, Basic concept of testing, Small sample and large sample tests, Tests based on Z, t, Chi-square and F statistic, Confidence intervals.